According to the American Telemedicine Association (ATA), "Telemedicine is the remote delivery of health care services and clinical information using telecommunications technology. This includes a wide array of clinical services using internet, wireless, satellite, and telephone media." Today telemedicine is used in a variety of health care settings such as dermatology, cardiac care, and behavioral health to reduce costs, reach patients located in rural settings, and treat chronic conditions. 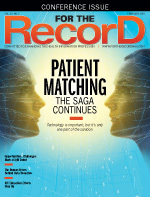 The technology, which continues to evolve, is rapidly merging under the broad umbrella of health care treatment options instead of being treated differently from in-person care by physicians. According to the ATA, there are approximately 3,500 service sites within the United States, more than one-half of all US hospitals currently use some form of telemedicine, and the Veterans Health Administration has delivered more than 300,000 remote consultations. Cloud-based EHRs is another technology solution that requires on-demand access by users to a shared pool of computing resources (eg, networks, servers, storage, applications, and services) that can be rapidly supplied and released with minimal management effort or service provider interaction. Providers that choose to implement cloud-based EHRs experience benefits unavailable on a conventional software platform. However, accessing the cloud requires open access to the internet and an infrastructure to support the technology. With a cloud-based solution, upgrades to applications are made and applied across the network through one instance of software, network availability is ensured (access is not dependent on location and can be accomplished via a PC), numerous resources—both human and device—can access the network at the same time, and infrastructure is scalable to meet increased demand. The use of these technology solutions is predicated on the freedom to access and use online services leveraging an internet service provider (ISP) of the user's choice. But what if online accessibility and the low barrier to entry for innovative online technologies were removed or significantly diminished? How would this affect providers with limited resources to invest in infrastructure to "get in the fast lane"? In light of a recent decision by the Federal Communications Commission (FCC), the industry may soon find out. On December 14, 2017, the FCC voted to roll back the 2015 Obama-era regulation "Protecting and Promoting the Open Internet," better known as the net neutrality rule that prohibits broadband providers from blocking content or charging for high-quality service or content. Moreover, the 2015 rule laid out the following three rules (clear, bright-line rules) that protect consumers' right to both fixed and mobile broadband internet access service. • Blocking. Consumers who subscribe to a retail broadband Internet access service must get what they have paid for—access to all (lawful) destinations on the Internet. • Throttling. Prohibition against the degradation of lawful content, applications, services, and devices on the grounds that such degradation would be tantamount to blocking. An ISP shall not impair or degrade lawful internet traffic on the basis of internet content, application, or service, or use of a nonharmful device, subject to reasonable network management. • Paid Prioritization. Prohibiting an ISP that accepts payment (monetary or otherwise) to manage its network in a way that benefits particular content, applications, services, or devices. This is to protect against the development of "fast lanes." FCC Chairman Ajit Pai, JD, who led the repeal effort, established the new order, "Restoring Internet Freedom," which eliminates all three principles and classifies an ISP as a Title I information service rather than a Title II public utility under the 1934 Communications Act. With some slight modifications, the FCC believes the modified provision helps consumers make informed choices about their purchase and use of broadband ISPs. According to the Restoring Internet Freedom order, "Any person providing broadband internet access service shall publicly disclose accurate information regarding the network management practices, performance, and commercial terms of its broadband internet access services sufficient to enable consumers to make informed choices regarding the purchase and use of such services and entrepreneurs and other small businesses to develop, market, and maintain internet offerings. Such disclosure shall be made via a publicly available, easily accessible website or through transmittal to the Commission." The reclassification of broadband internet access as a Title I information service places broadband providers under the same strict regulations that now govern telephone networks. Enforcement activities fall under the Federal Trade Commission (FTC), an agency whose mission is to promote consumer protection and the elimination and prevention of anticompetitive business practices. The FTC is now charged with regulating broadband privacy and data security and applying uniform online privacy protections for consumers. Supporting this mission, the FTC and FCC entered into an agreement "under which the two agencies would coordinate online consumer protection efforts following the adoption of the Restoring Internet Freedom Order." A memorandum of understanding (MOU) outlined the process by which the organizations would protect and safeguard the public's interest. According to the MOU, the enforcement will be an information complaint-driven process by which the FTC and FCC will investigate compliance with the new transparency rule outlined in the repeal. Investigations will occur based on the accuracy of suspected deceptive or unfair practices. Both agencies expect to share their pooled legal and technical expertise to address complaints as well as conduct industry outreach and education. Although the FCC's ruling allows more freedom for ISPs to determine what services they will offer and at what speed, there is much uncertainty regarding how large an impact it will have on the health care industry and consumers. Proponents of the ruling believe the change will foster investment in innovation and improve technologies, particularly in health care. Health care organizations with the proper financial resources can certainly invest in infrastructure improvements that will serve as the on-ramp to faster service and improved access to health information and the exchange of that information for patient care. However, those health care organizations that lack financial resources will struggle to make the same level of investments, perhaps forsaking a commitment altogether. Advocates and members of Congress supporting net neutrality continue their work to influence a reversal through the introduction of legislation. Rep Marsha Blackburn (R-Tennessee) introduced the Open Internet Preservation Act, which essentially reinstates the blocking and throttling provisions while maintaining paid prioritization, requiring consumers to pay more to "get in the fast lane." On the Senate side, Sen Ed Markey, JD, (D-Massachusetts) has introduced a Congressional Review Act requiring 30 votes to nullify the FCC repeal and prevent the agency from issuing a similar repeal in the future. This would require the FCC to maintain the net neutrality rules issued during the Obama administration. Congress currently faces the need to pass a fiscal year 2018 budget, midterm elections, and other critical issues. Its focus will shift away from efforts to nullify the repeal despite net neutrality concerns being a controversial issue—in fact, some Washington insiders believe it may impact the midterm elections. In the meantime, health care industry stakeholders must remain vigilant to potential changes and understand how these changes will influence their ability to offer high-quality patient care. — Allison Viola, MBA, RHIA, is director of health IT policy at Kaiser Permanente Information Technology.